Where is the slag scraper for sale? Where is the slag scraper for sale? Look! Sichuan Ruiditong Machinery specializes in the production and sale of various scrapers, scrapers, ore loaders. The company has been producing and selling slag scrapers for 10 years. Whether it is to distinguish slag scrapers or to distinguish which one is good or bad, it also has some experience. After all, it's been a long time in the dredger industry. So what does the slag scraper do? What can the slag scraper bring us? Slag scraper is a very ideal loading equipment for loading and discharging slag in tunnels at present. It can replace manual loading operation for mine trucks and slag carriers. It not only saves manual labor, but also speeds up the loading and transportation speed and improves the efficiency of tunneling. 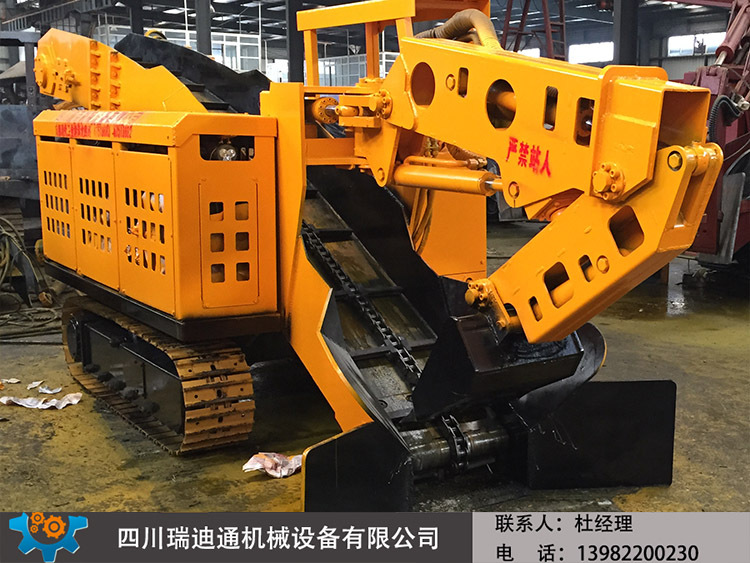 As for the selection of slag picking machine, construction units can choose according to the actual situation of mines or tunnels. Short-term projects, the choice of belt pulley type slag scraper can be, long-term projects suggest the choice of crawler scraper type. Belt dredger is a little cheaper. In the products of dredger, wheeled belt dredger belongs to the entry level. The disadvantage is that the vulnerable parts often need to be replaced. Usually, the conveyor belt is replaced once every three months. Intermediate style is our wheel scraper slag scraper. The chassis of this machine is the same as that of belt type slag scraper, but the middle conveying part is different. The middle conveying part of scraper type slag scraper is scraper chain and wear-resistant plate. It needs to be replaced almost one year later, and there is little time to delay the construction period. 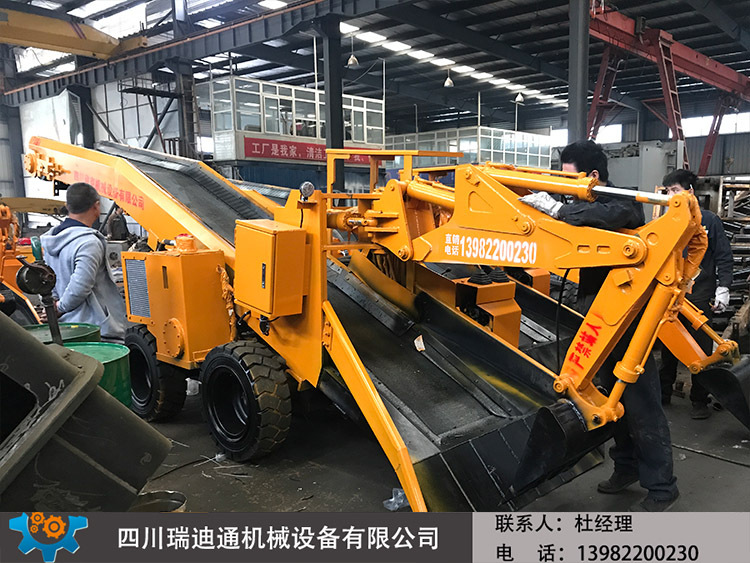 Another step up is the high pole version - Crawler slag scraper, crawler slag scraper price has no advantage, but in terms of quality and life has a very good advantage, crawler slag scraper in the middle of the conveyor and scraper slag scraper is almost the same, different places in the walking part - Crawler chassis. Crawler slag scraper is suitable for long-term construction units or mines. And some inclined wells with slope less than 30 degrees need crawler dredger. Compared with previous slag scrapers, crawler slag scrapers are characterized by long life and durability. Our company has 10 years of history and experience in producing and selling slag scrapers. Compared with the manufacturers who have just entered the slag scraper industry recently, our company has more experience than them. Sichuan Redditon, a high-quality manufacturer of slag scraper, buy the slag scraper and choose Redditon!